Updated 22 Aug. 2017 - UR Technology was apparently reconstituted as Kowala KUSD LLC (Dela.) in June 2017.-Ed. 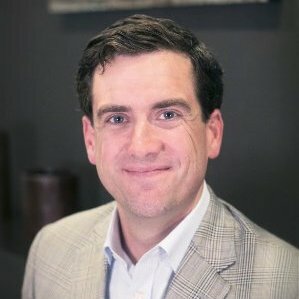 ACKNOWLEDGING both the interest and wariness that surround the "digital currencies" that are proliferating globally eight years after the launch of pioneer Bitcoin, UR Technology Co-Founder and CEO Eiland Glover told Venture Nashville he believes 'open kimono' -- fullest possible disclosure -- is the optimal approach for advancing uptake of the company's UR offering. 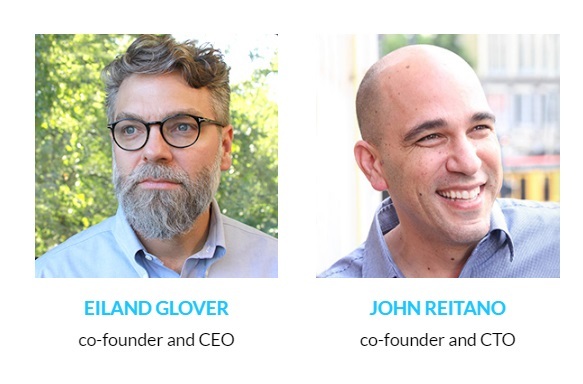 Glover and Co-Founder/CTO John Reitano have invested $200K in the company and talks are underway with potential Angel and institutional investors in Nashville and elsewhere about a $600K round, using the Y Combinator "safe" instrument, said the CEO. By mid-year, the company is likely to pursue a $3MM-$5MM Series A, Glover confirmed. Though the tech startup is "very much a 'San Francisco' company," Glover said he hopes to attract Nashville interest at every step. Glover is a Georgia native who moved here from Atlanta five years ago. The UR blockchain supporting UR was developed in 2016 from code derived from open-source Etherium code. UR is currently listed only on the Cryptopia exchange, where it began trading about the same time as Glover's appearance on a Bitcoin blogcast, in October 2016. The UR name was adopted to recall the ancient Sumerian city-state, Ur, he explained. Eiland confirmed that the UR business model relies on enlistment by invitations extended directly from the company itself, then subsequently by referrals via active UR community members. According to Glover during an interview over the holiday weekend, UR then had about 12,000 signups, with newcomers being added at a pace much faster than the company's earlier projection of 10% growth per week. This morning, signups had risen to about 15K. Interest is particularly strong in several Asian countries and in Russia, he said. Outside capital will support the company's marketing -- with emphasis on social media -- as well as enable it to scaleup its infrastructure and speed onboarding during surges in participation, such as it is already experiencing, said Glover. Other UR team members include Nashville-based Walker Willse, VP corporate development, plus technologists in Europe and elsewhere, the company said. Glover said Nashville attorney Charles Friddell is advisor to the company. The CEO readily acknowledged that, in addition to the prospects for sizeable revenue from social network monetization, the free-entry model is consistent with the company's determination to ward-off behavior associated with scams. He also acknowledged that UR's expansion since launch is inevitably driven by such factors as passionate enthusiasts who are ready joiners, as well as speculation, "fear of missing out," and similar motivations. Rather than charge for UR referral memberships, the company plans to monetize its network via advertising, affinity marketing, B2B analytics offerings and the like, said Glover. The corporate entity, UR Technology, is currently -- by de facto consensus -- the arbiter of identity verification of UR holders who choose to participate in the UR referral program, according to Reitano, who is visiting Nashville from his home in Chula Vista, Calif.
UR "miners" in the blockchain's distributed network are compensated for their work in processing blocks of transactions. Consumer-joiners are given allocations of UR without charge and the company allocates some UR to itself with each transaction. UR units may be acquired or traded by persons who are not participating in the mining, referral and enlistment program. In more technical terms, the company commented on its tech model, saying in part, "UR is a fork of Ethereum so it has all of the features of Ethereum such as consensus validation, mining rewards, ability to locally control private keys, etc. The main feature that the UR protocol adds to Ethereum is that additional coins are minted based on consensus by the network that a real person has joined the network as a user and had their identity verified by a party deemed by the network to be trustworthy." In the UR model, A small UR share is also allocated to fund rewards or incentives for organizations or individuals that help advance the expansion and/or value of UR, Glover said. Nashville-based UR Technology is a dba for Ur Capital Corporation, a Delaware-chartered company, said Glover, who is also majority owner of Stoke Education, a student-tutoring company that relocated from Atlanta to Nashville five years ago.